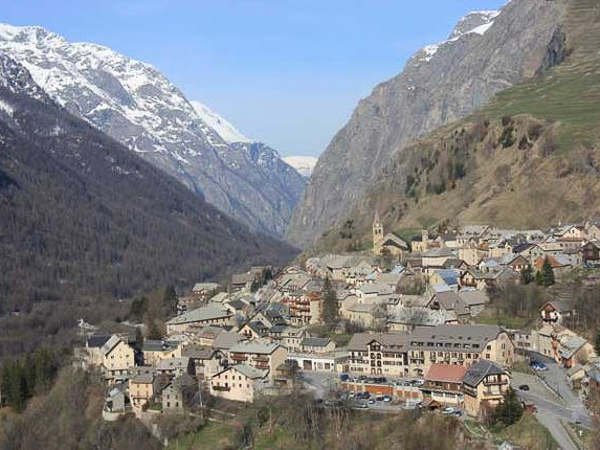 We have a choice of two hotels that we use in the Southern Alps, depending on the group and proposed itinerary. 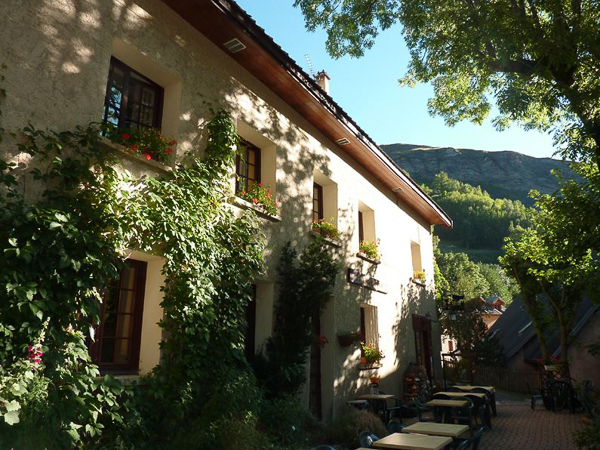 However, our primary base for Bike Weekender Southern Alps trips is in La Grave, at the Hôtel-Auberge Edelweiss, an old coaching inn in the heart of this unspoiled mountain village. 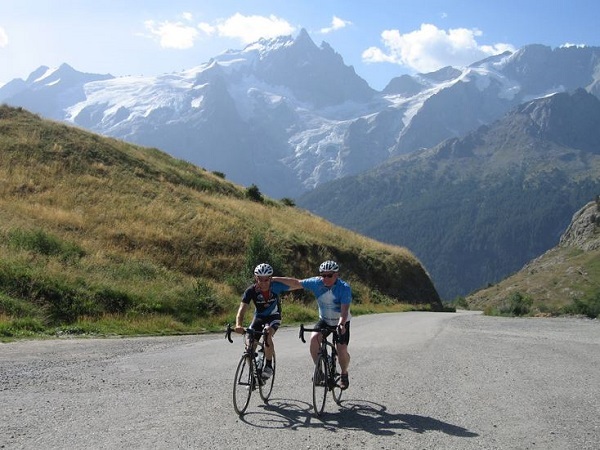 Aimed at maximising your cycling time in the midst of some of the most famous and mythical cols from the Tour de France: Col du Galibier, Col D’Izoard, Alpe D’Huez, Col du Lautaret – all are within a few km’s warm-up ride from the hotel. 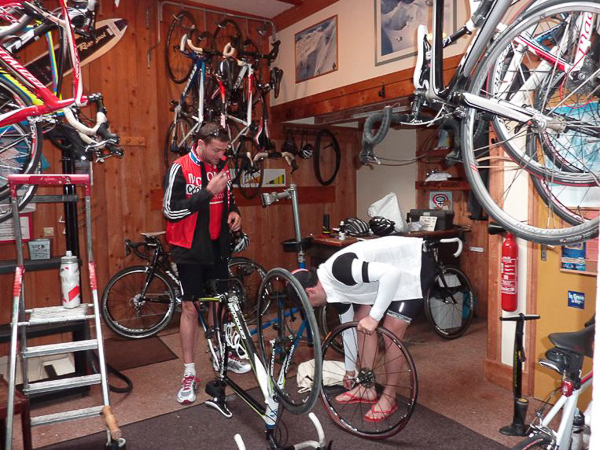 The Edelweiss is a biking haven; the best bike hotel in the region, combining a warm welcome, hearty food and good bike storage / workshop facilities. Auberge life in the summer revolves around the stunning terrace, with breathtaking views directly onto the imposing massif and glaciers of La Meije. There is a cosy bar, and on a cool night its’ open fire can be a welcome feature, even in the summer! A well-located hotel with excellent views, totally geared up for cyclists, in a relaxed and informal atmosphere. 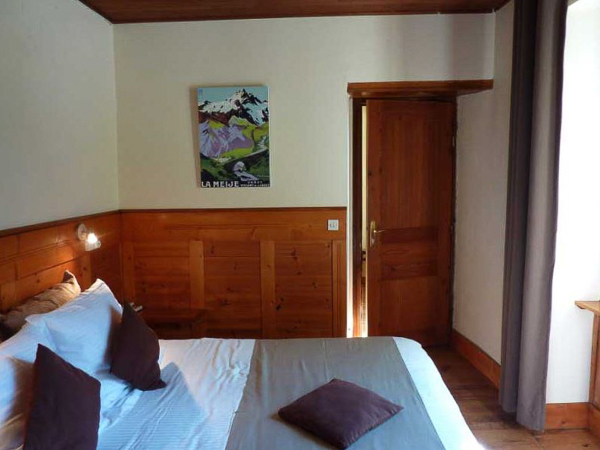 Each of the comfortable bedrooms has a mountain view of La Meije glacier, and facilities include an en suite bathroom, hairdryer and complimentary toiletries. Additional amenities include a flat-screen TV and desk. There are double/twin bedrooms, as well as larger rooms that can host up to 4 people. 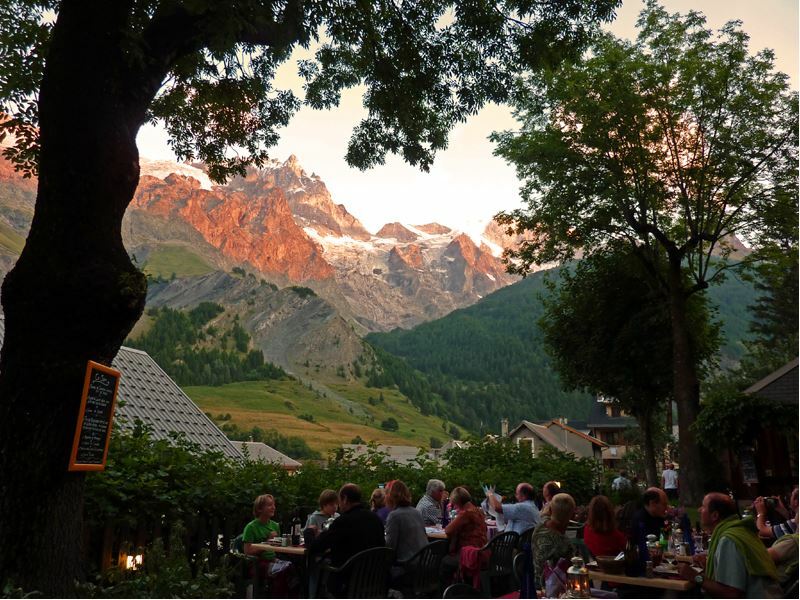 From cyclists, bikers, mountaineers and walkers, all congregate in the bar mingling with local mountain guides, meeting old friends and making new ones, so whether you are alone or come as part of a group, you will always feel included. 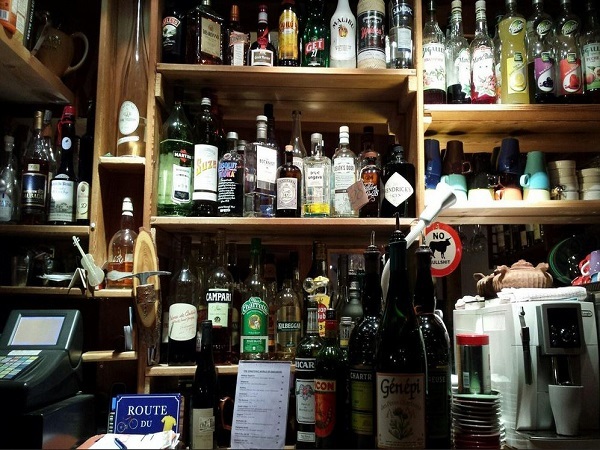 The intimate and well stocked bar has everything you are likely to want from draught beer through to fine wines, also served by the glass, plus an extensive selection of malt whiskies, spirits, and cocktails. However, there is also a large, private terrace where you can enjoy stunning views, and if you are lucky, you might even catch a breathtaking sunset. There is also a computer (free of use for hotel guests) for those who didn’t bring their laptop, and free wi-fi for those who did – perfect for checking the weather for your next day’s exploits, or keeping folks at home up to date with your latest adventures! Edelweiss has a widespread reputation for good, creatively prepared food. 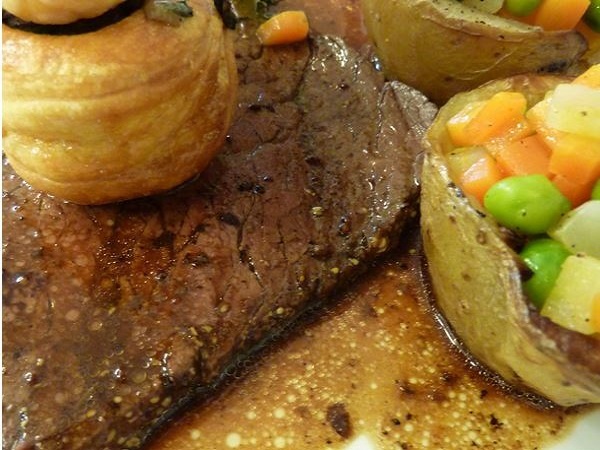 They use fresh, seasonal products when possible, and meals are prepared with care and passion. 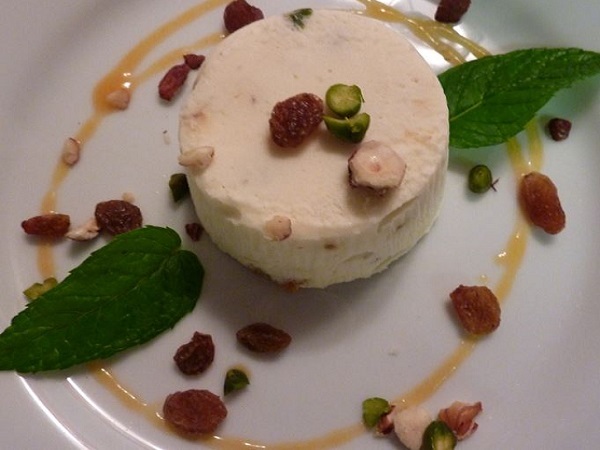 Every evening the restaurant offers a different menu with creative cuisine from their team of dedicated chefs, with a cycling-friendly menu. In the summer, meals are usually served outside on the terrace, served with freshly baked home-made breads. The hotel is located in the heart of the medieval village of La Grave, 10 km from the Col de Lautaret, housed in a former coaching inn. 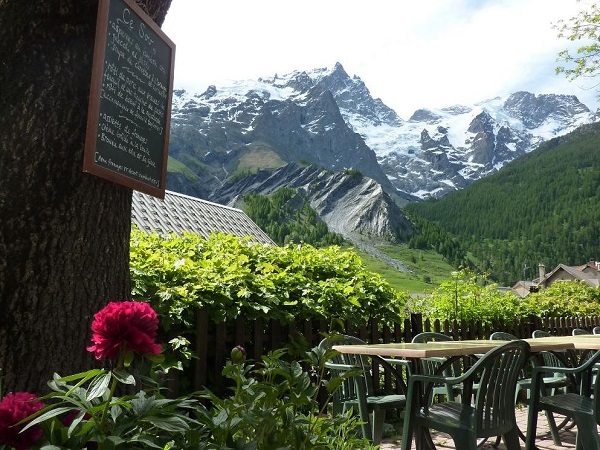 The village itself is perched at 1525m, with breathtaking views directly onto the imposing massif and glaciers of La Meije. The Edelweiss has its own sauna here you can relax your muscles after a long day in the mountains. They also work together with a number of massage therapists who come (on request) to the hotel if massages are needed. Details available on request. Word-of-mouth recommendations are important to us. You can see many reviews from guests who’ve stayed at the Hotel-auberge Edelweiss on Trip Advisor here >>>. 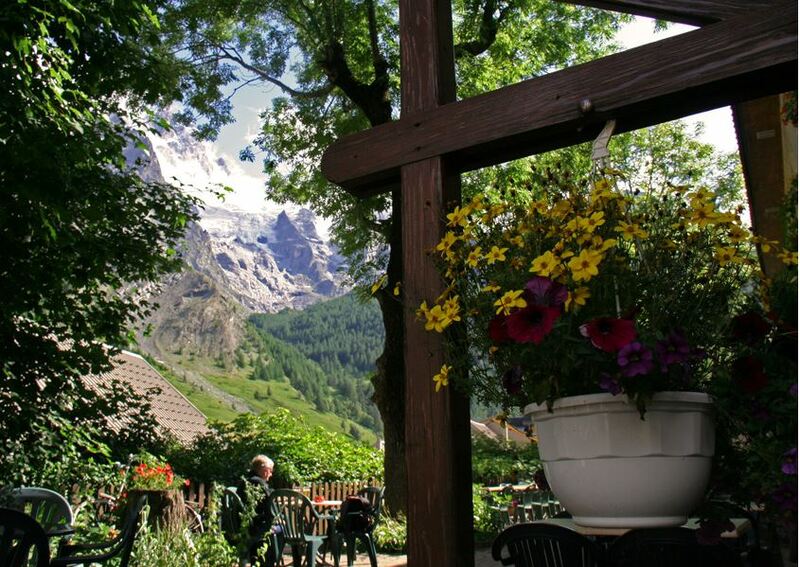 Want to stay with us at the Hotel-auberge Edelweiss... ?